deltarhoupsilon.org | Built on 80 years of tradition and brotherhood. "Always one, but not the same"
Hello everyone, it’s that time of year again. The 8th Annual Delta Rho Upsilon Benefit Dinner is scheduled for November 9th, 2018 at 6:00 PM. It will take place at the same venue as previous years, Stackner Ball Room at Carroll University. All proceeds from the event will be donated to Hebron House of Hospitality, Waukesha’s local homeless shelter. The Alumni Association will be hosting various events during Homecoming this year. Please RSVP (click RSVP Link to complete a Google Form) if you plan on joining us. The upstairs of Club 400 is reserved for us from 1pm – 4pm. As the semester wraps up and you spend all the nice spring days studying in the library, come relax and enjoy a dinner with Delta Rho Upsilon. The fraternity will be hosting a spring benefit dinner on May 4th from 6:00-9:00 PM in Stackner Ballroom. The night includes nice buffet style food, socializing, and a silent auction. Bring your cash, checkbook or card for a chance to win the many auction items. Custom DRU pint glass will also be sold for $5 at the dinner. Delta Rho Upsilon will be hosting its first ever Spring Benefit Dinner on May 4th at 6:00PM in the Stackner Ballroom at Carroll University. 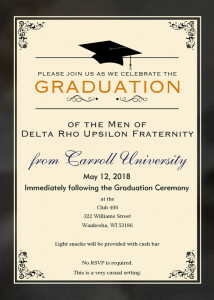 Delta Rho Upsilon values service and has been a part of the Carroll University family since 1929. The event will include dinner and a silent auction. Event proceeds go directly to the Hebron House, and will support the homeless population in Waukesha County. This event is extremely important to us, and we hope you would help us raise money and collect silent auction items to help aid the Hebron House in their tremendous efforts of service. Homecoming 2017 was a blast! The members of Delta Rho Upsilon represented the fraternity quite well. 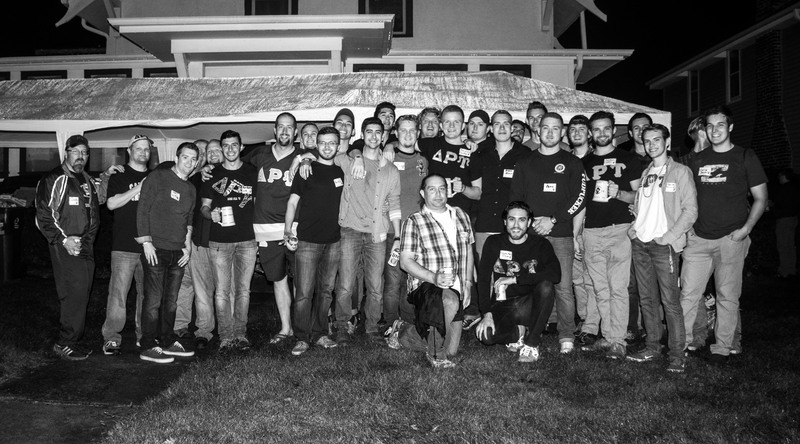 We had great turnouts from the active body at the homecoming events, and the fall pledge class did an exceptional job. The DRU banner that was made for the volleyball game turned out really cool and marching in the parade is always a fun time for our guys. Also, a couple of our members were nominated onto homecoming court. Som Phomsopha was nominated (and won) for the underclassmen and Dre Lacanlale was nominated for the upperclassmen. Both very deserving men to represent DRU. Finally, on behalf of all the active members, I want to give a quick thank you to all the alumni that were able to come back for the smoker and football tailgate. It is great to see the strong connection past and present members have with one another. After all, once a brother always a brother. 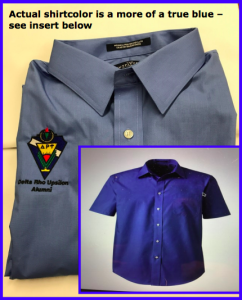 The Delta Rho Upsilon Alumni Association sold Lands End Short Sleeve dress shirts with crest to our members at Homecoming. We still have some available for sale. Only one color choice – True Blue. Most sizes. $20.00 per shirt. First come. First serve. Limited number. Please let me know what size by email or letter. 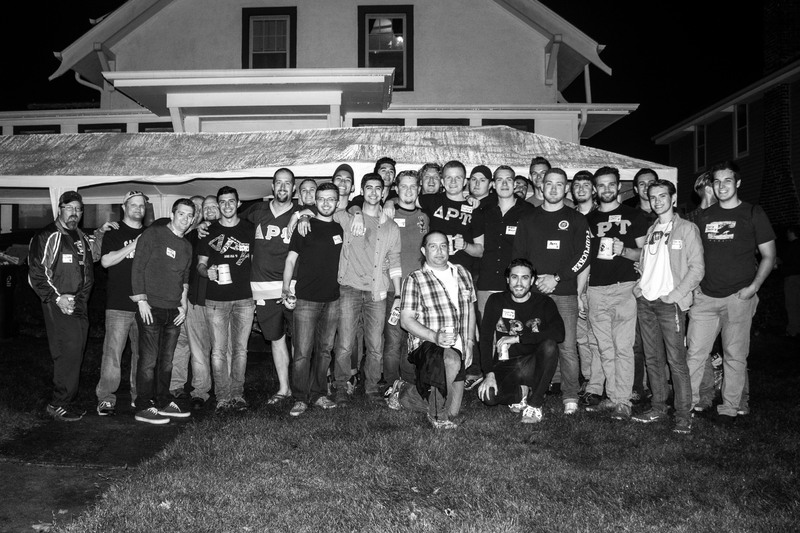 Over 60 Alumni members of the Delta Rho Upsilon Fraternity, joined the 40 actives members and the 10 pledges over the Carroll University Homecoming weekend. If you were there we were glad to see you. If you didn’t come, we missed you. We were particularly glad to welcome back Bruce Dennert, Lon Hachmeister, and Ken Bagge from the Class of 1967. Although the weather did not cooperate, the Actives did making the Alumni feel welcome. Special thanks to Scott Polebitski, Bob Taylor, Jordan Brovick, and Jeff Stark for all the efforts to make the weekend a success. We still have shirts for sale if you are interested, please feel free to contact John Macy at jmacy@ammr.net. We gather next for the Active-Alumni History event January 27, 2017 from 2 until 6 at the Clubhouse. It is a chance for the Alumni to hear what is currently happening at the Fraternity and for the Alumni to share the stories from the past. Please mark your calendar and plan on joining us. John Petersen, age 70, set off on his final “sail” in the early morning of September 14th, at home while in the arms of his loving wife, of 48 years, Lori Stevenson Petersen and surrounded with the love of his daughter Jana (Joe) Pingel, and son Steve (Megan) Petersen. Fondly known as “Papa J” to many especially his grandchildren Madison Pedersen, Liam, Kieran and Quinn Petersen, Kaeli and Bri Bohman and Connor Pingel, he had a special place in his heart for each one. His sister Linda “L.Sue” (Bill) Standage, brothers Mark (Sheryl) Petersen and Rick (Dana) Petersen along with his father Eugene J. Petersen kept in contact on a daily basis filling him with strength. Brother’s and sister’s in law George (Janet) Stevenson, Andy (Mary) Stevenson and Ed (Carol) Stevenson were loyal confidants and ready in any time of need. His beloved mother, Willa H. Petersen, and mother-in-law and father-in-law William (Grace) Stevenson beacons of faith and strength had preceded him in death. Loved by many nieces, nephews relatives and friends. His recently adopted rescue dog “J.J’ was instantly devoted to him. John attended the then two room Bark River Grade School and later graduated in the first class of University Lake School both in Hartland, WI. He graduated with a B.S. 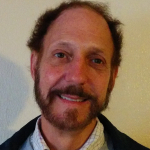 Degree in Sociology from Carroll College, Waukesha WI.in 1969. He valued the friendships of his fellow Delta Rho Upsilon Fraternity brothers. Spanning more than 4 decades his entire work career was for one corporation known as Cooper Power Systems when he retired as Senior Buyer. He lived life to its fullest with a strong will and faith to carry on. John leaves us with a legacy of sailing memories accumulated over 61 years, many as the ACE of the E scows on Nagawicka Lake. He was twice Commodore of the Nagawicka Lake Yacht Club. He will be remembered for his determination and perseverance despite obstacles or ‘knocks in the wind’ “ Papa J” was not only a provider, but taught his family how to sail through life’s ups and downs with grace and faith. John also enjoyed playing Sheepshead with his friends, spending the winters downhill skiing in Michigan and enjoyed his summer’s best game of golf on the last day of his life. He loved watching the beautiful colors of the sunset come together after a long day. Please join us in celebrating the life and legacy of John Petersen at the Delafield Presbyterian Church in Delafield, WI on Saturday October 21st with a visitation at 10 a.m. and service at 11a.m. Burial will be private at Arlington Park Cemetery, Milwaukee, WI. Pagenkopf Funeral Home is assisting the family. John was battling lung cancer and we are grateful for the care and concern he received from the medical team at UW Cancer Center at ProHealth in Pewaukee WI. Passed away unexpectedly while on a canoeing trip on September 16, 2017 at the age of 37. Beloved husband and best friend of Jeanette (nee Radmer). Best daddy ever of Trevor and Zachary. Loving son of Kathy and Allen. Dearest brother of Trista (Brent) Roemer and Laura. Fun uncle of Raedine and Everly. Great son-in-law of Lloyd and Susan Radmer. Scott will be greatly missed by his aunts, uncles, cousins, God children and many friends. 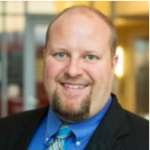 Scott graduated from Warren Township High School in Gurnee, IL. He then went on to attend Carroll College where he was a member of Delta Rho Upsilon. Scott loved music, including singing in the choir and playing in the band. He was an avid soccer player throughout his high school and college years. He was a devoted member of St. Peter’s Lutheran Church where he served as an Elder. Scott was a diehard Packer fan, a Star Wars buff and loved to play Legos with Trevor and Zachary. A Visitation will be held on Saturday September 23, 2017 at ST. PETER’S LUTHERAN CHURCH, 145 6th St. Waterford, from 11 AM until the time of Funeral Service at 3 PM. Private family burial will take place at a later date. In lieu of flowers, memorials to the family for Trevor and Zachary’s educations would be greatly appreciated. Clubhouse tours: 9:00 a.m. until 10:00 a.m.
Tailgate Party: 10:00 a.m. until 1:00 p.m. at Kilgour-Trailblazer Tennis Center parking lot. The actives and alumni attending a Brewers game on Friday, April 21, 2017 again sponsored by Wayne Grunewald. Thanks, Wayne. If you live in the area you should plan on attending next year. The actives hosted the 9th Annual Delta Rho Upsilon Toga 5K Walk/Run on April 23rd, 2017 with wide support from the campus as well as alumni. The alumni welcomed a new group of actives at the Annual senior picnic on May 12 where we honor the new members of the alumni association and their families. On the upcoming events schedule is not only Homecoming but also a Active Dinner and Fundraiser in November. Details to follow on the website. Also, a DRU Alumni Association Meeting is scheduled for January 27, 2018 @ 10:00 am – 2:00 pm at the DRU Clubhouse, 427 E. Broadway Waukesha followed by the annual Alumni-Active History Event. The alumni association actives dues reimbursement program has been much appreciated by the actives receiving the same. Much work has been done on the Pledge Class project but much more needs to be done. A subcommittee has been formed and the members plan on meeting monthly to work on the same. More to follow. If any time you have any comments, questions or concerns, please feel free to contact me. Pledge Class Project The Alumni Association is working to catalog all the pledge classes throughout the history of DRU, from Harold Hamilton and the Pioneer Club to the latest class of 2017. Our goal is to share this body of work with our members on www.deltarhoupsilon.org to serve as a historical record. While members of DRU possess a wide variety of talents, record keeping has not been at the forefront. There have been many transitions throughout our storied past including name changes and house changes, and with all of these transitions, some information does not always follow in step. The records we do have are incomplete and again we turn to our membership to help fill in the gaps. We are close to compiling the information we currently have and will have these list available at Homecoming so be sure to take a look and do what you can to help fill in the blanks. In order to facilitate this project, the Alumni Association is instituting an Adopt-A-Pledge-Class program. The outline of this program is to assign a prior pledge class to a current pledge and/or active member and it is their responsibility prior to activation to reach out to each member of the pledge class that he has been assigned to get to know the Alumni in the class, update the contact records for each individual and to try to get the alumni to come to campus (hopefully for an event) to meet the pledge and reconnect with the group. The pledges would continue as the connection for that pledge class for the entire active experience. We hope this will help bring the past and present closer together and provides an significant opportunity for pledges to contribute to the organization. Visit the website in the coming weeks for updates regarding the pledge class project and of course reach out to any member of the Alumni board to contribute relevant information. Must not have taken senior standing. The top 10 Panther Points award winners last semester were: Dylan Steichen, Tristan Petrauskas Noah Wallen, Nathan Reid, Eric Benson, Alex Reid, Jordan Cates, Trevor Kosar, Jake Arteaga, Dennis Sherlock Dear Delta Rho Upsilon Alumni Thank you for the assistance with my dues for the 2017 spring semester. Your generosity is well received by the active body as we hope to continue the rich history that has been past down from generation to generation. Delta Rhos through life. Fraternally Yours, Dennis Sherlock Dear John, Please thank the alumni association for providing such a reward, it really helped motivate our members to be involved and hold themselves accountable. Greetings from the Clubhouse! Well, this is our 6th year with the DRU Clubhouse and we start the year with just about 50 members. Of course, the house is popular for fraternity social events and ceremonies, a good battleground for Wisconsin/Illinois sport team games on TV, a game of foosball, a quiet place to study during the day, as well as pledge (new member) events, and Monday night meetings when there is no pledge class. During the “new member education period”, meetings are held up on campus. Every year there are changes and improvements made to the house. The big project this last year was replacing the badly worn and stained carpeting in the main suite with hardwood flooring—much easier to keep clean! Much thanks to DRU Alum Mark Benning who installed the new floors. We’ve enjoyed monthly pizza parties with alums and actives, Homecoming, with the social gathering still called the “Smoker” on Friday evening and the morning waker-uppers, Alumni Assn. meeting, parade, and tailgate party just before the football game on Saturday. We have the Benefit Dinner in November, DRU History Day in January, and the end-of-the-year picnic at the Macy estate in early May; all activities where DRU alumni are welcomed. You are also welcome to stop at the Clubhouse anytime. It is located on the corner of Broadway and Hartwell Ave. Come meet the actives and pledges and get a tour. If it feels awkward after the passage of years, let me know when you are going to be in town at jstark15@wi.rr.com and I will gladly meet you at the House, show you around, and introduce you to anyone who may be around. Don’t be shy! The main floor and lower level are rented by the Alumni Association for the use of our Actives, so it is YOU who are providing this building to them! Next time you get an invitation to a Carroll Alumni event, consider attending knowing a fellow DRU alumnus would love to see you there. 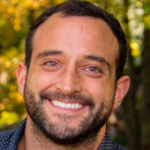 If you’re planning to attend Homecoming (which you should), be sure to congratulate Zachary on his new position when you see him at this year’s Homecoming festivities October 6th and 7th. Over the years, the Delta Rho Upsilon website located at deltarhoupsilon.org has had many faces. Like many websites run by volunteers, there were times when the site was a great place to go for information and others when it was completely out of date. The alumni association does try and keep it as up to date with the information we have. However, being a site hosted by a single alumnus at his cost there are obvious limitations, so you can help. I encourage any alumni that have suggestions for improvement to let me know. I welcome additional volunteers with IT or website design experience to lend a hand, so please contact me so we can collaborate on ways to work together! 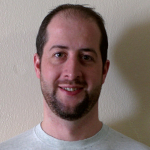 The membership mailing list serve has been moved to MailChip, so you’ll see messages from dru.techchair@gmail.com they’ll have MailChip branding on them for now. Again, if others have resources to help let me know. We will continue to strive to keep the site fresh and up to date. Please take a minute and visit the site and let me know if you have any thoughts. The fraternity is very fortunate to have a caring group of Alumni that are willing to contribute their time and energy into making helping the organization and ensuring it endures for many more years. 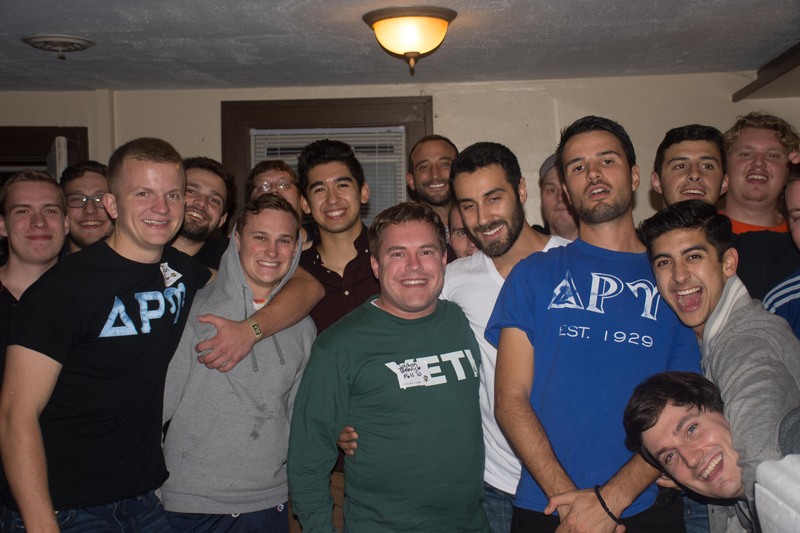 Are you looking to reconnect with members from your years in the fraternity? Our History Event will be held on January 27th, 2018 at the Clubhouse. As in years past the actives and alumni will gather and share stories from today and years past. If you have any history items or a story to share bring them to the event. The Alumni Association meeting from 10:00 AM – 2:00 PM and the History Event from 2:00 PM – 6:00 PM. This event is limited active and alumni members only. Are you looking to get the latest news? Have you moved? New email address? Complete our form to get the latest news.